My best friend Marie and I spent 2 days in Washington DC to celebrate my birthday. We ate, a lot, as well as visited some of the Smithsonian galleries (Freer and Sackler, Museum of Natural History). The weekend started in Richmond Friday night with dinner at Bonvenu; Shared oyster appetizers, followed by the “Chicken Fried” Portabella Mushroom with sweet corn gravy, and a fresh raspberry tart for dessert. Saturday morning we headed into DC and our first stop was China Town for Dim Sum. We went on the recommendation of a friend to Tony Cheng’s and were quite pleased. 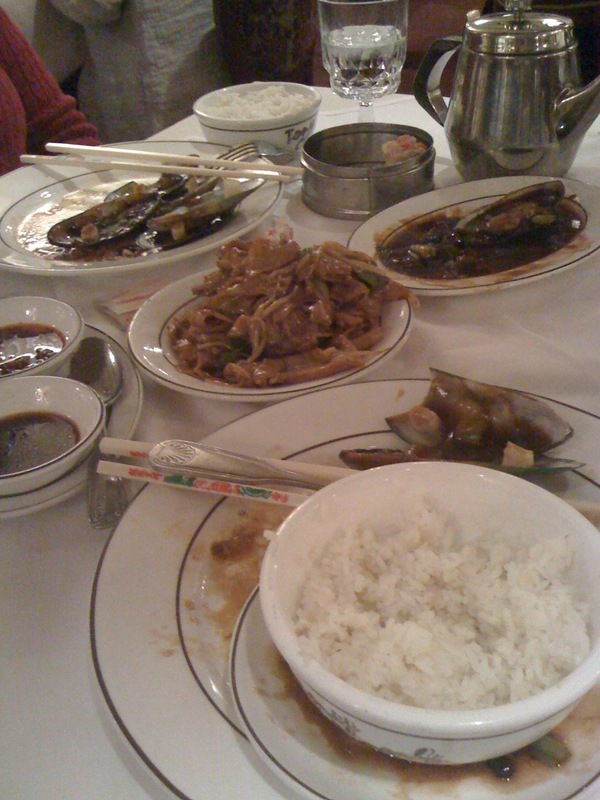 In fact so much that we inhaled 9 different types of dim sum and noodles (lovely handmade noodles cooked to perfection). Of course with my birthday being in February the weather is always a factor. Marie and I have endured below freezing temperatures in Philadelphia, wind and snow in Massanutten, and this year, 30-40 mile per hour wind. After a wind blown day of dim sum and museums, we headed back to our hotel to rest and relax. We had originally planned on heading out for a night on the town, but the drop in temperature and the wind kept us in. We decided to grab a bite downstairs at Le Bar. We split an appetizer of Tuna Tartar with an olive tapenade, for dinner I had asparagus and portabella mushroom pizza, Marie had dry rub wings and sweet potato fries. 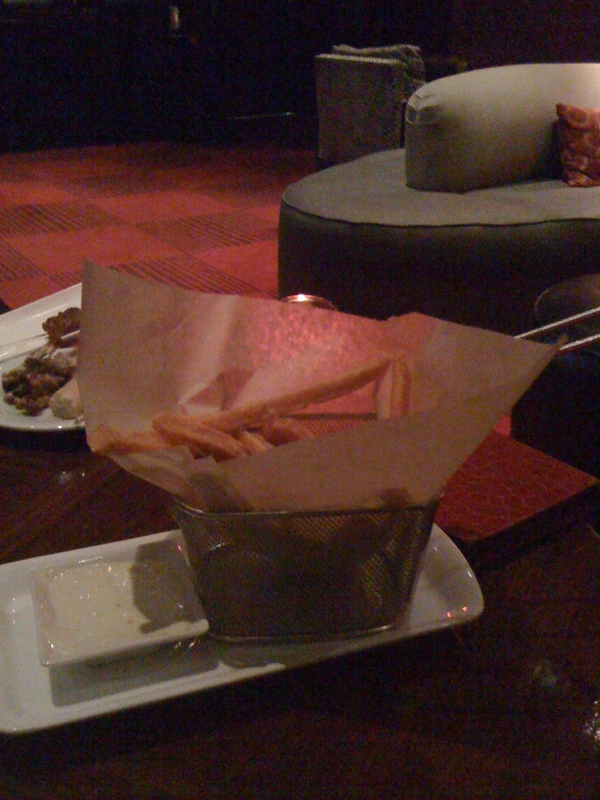 The fries were delicious and presented in a miniature fry basket, they were crispy and very tasty, especially with the garlic mayo dipping sauce. 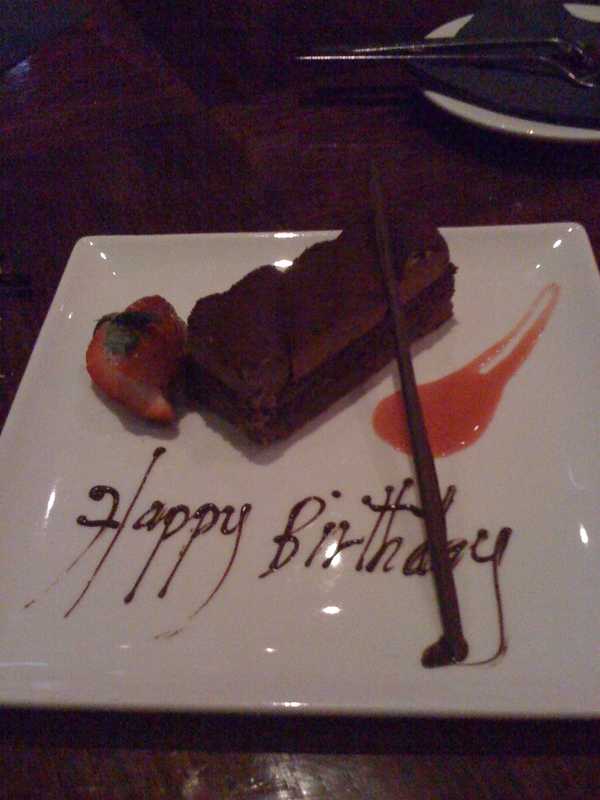 For dessert, our waitress (Emma) surprised us with a chocolate sponge cake over a layer of hazelnuts and raspberry jam. Sunday, before leaving for home, we ate at Old Ebbitt Grill , located near the White House in downtown DC. A varied brunch menu and separate oyster menu made for a yummy lunch. I have to say that this year I was very lucky to spend time with great friends. I hope every birthday is just as special.